Home / Surveilstar Features / Archive by Category "Application Monitoring"
More companies are monitoring their employees electronically. Why? What can you do about it? Active monitoring of employees has risen sharply in the past 4 years, from 35 % to 80 %. These results from the American Management Association’s (AMA) most recent annual survey are the first to show an increase in monitoring that is significantly greater that the increase in employees with access to the systems that are being monitored (voice mail, email, internet). “Privacy in today’s workplace is largely illusory. In this era of open space cubicles, shared desk space, networked computers and teleworkers, it is hard to realistically hold onto a belief in private space,” said Ellen Bayer, AMA’s human resources practice leader. The reasons companies monitor employee activities are valid business reasons, not just a desire to snoop. The AMA listed (in alphabetical order) five reasons given by survey companies as to why they monitor their employees. Legal Compliance. In regulated industries, taping telemarketing activities gives both the company and the consumer some degree of legal protection. Also, electronic recording and storage may be considered part of a company’s “due diligence” in keeping adequate records and files. Legal Liability. Employees who are unwittingly exposed to offensive graphic material on colleagues’ computer screens may charge a hostile workplace environment. Performance Review. Customer service and consumer relations personnel are frequently taped as they field calls, and tapes are reviewed with supervisors to evaluate and improve job performance. Productivity Measures. Net-surfing, personal use of office e-mail, and/or dialing up 900 numbers expend time and assets on non-business related activities. Security Concerns. Protecting the value of proprietary corporate information is a primary concern in an age when e-mail and internet connections continue to expand. “Work is carried out on equipment belonging to employers who have a legal right to the work product of the employees using it”, Bayer said. Their Fact Sheet 7: Workplace Privacy has a very good summary FAQ about employees rights, or lack therefor, with respect to phone calls, computers, email, and voice mail. For other resources, be sure to see the right sidebar in this article. Managers have an obligation to their company to monitor the activities of their employees to ensure compliance with applicable laws and policies. You monitor their behavior, their adherence to the dress code, the way they greet customers. 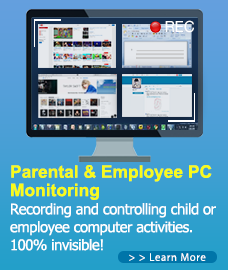 The need to monitor their electronic activities is equally as great and the reasons are the same. Be sure to let employees know that they are being monitored electronically. Let them know what is being monitored and why. Let them know what is acceptable and what is not. The easiest way is to develop and publish your companies policies with regard to the use of computes, the internet, email and voice mail. You should monitor for compliance and discipline as you would for any other company policy. More people are likely to engage in “risky work behavior” than ever before, according a new survey. Nearly seven out of 10 adult office workers use their computers and other office technology for personal reasons, often ignoring employer policies that warn against doing so, new research shows. Sixty-nine percent of office workers admit that they access the Internet at work for non-work purposes, and the same percentage uses their work telephone to make and receive personal calls, according to a recent survey conducted online by Harris Interactive on behalf of Lawyers.com. In addition, 55 percent of the 1,711 respondents said that they send and receive personal e-mail on their work accounts. Despite the routine misuse, 45 percent of office workers say they have been informed that their technology usage at work is monitored. “It’s not a mystery to most employees that their bosses may be reading their work e-mails or checking out websites they visit on work computers,” Alan Kopit, an attorney and legal editor for Lawyers.com, said in a statement. The survey results show that employees are more willing to engage in what Kopit calls “risky work behavior” than ever before. Approximately three out of four, or 73 percent, of office workers are as or more likely to use the Internet for personal reasons than they were two years ago. The percentage of office workers conducting personal business at the office is even higher among young employees. Nearly 72 percent of workers ages 18 to 24 said they check personal e-mail accounts at work (compared to 61 percent of the general population), and 77 percent are using the Internet personally (compared to 69 percent of workers overall), the survey says. Seventy-one percent of the young respondents said they maintain some sort of personal website. Personal blogs are the most popular among young workers, while 52 percent use networking accounts, such as MySpace or Facebook. Thirteen percent of workers 18 to 24 have an online dating account that they use at work, survey results show. Employee violations of technology usage policies can not only hurt the productivity of businesses, but in some cases could compromise the security of their communications systems. Kopit advises employers to evaluate their current practices regarding technology and to take the necessary steps to implement systems that will ensure their business is protected.